Organised by Fulgur Esoterica, this one-day of lecture aims to offer an insight into the emerging category of esoteric art by focusing on what has been defined as one of its key aspects – the engagement between artists and spirit entities and what this means in terms of artistic expression. 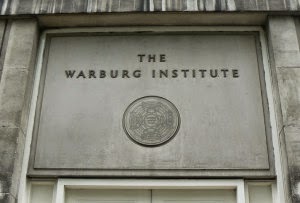 The I:MAGE day of lectures will take place at the Warburg Institute, one of the most renowned centres for the study of cultural, intellectual and art history. Leading scholars in the field will present original research on the intersection between artistic currents such as Surrealism, modernism and abstraction and esoteric movements such as witchcraft, Spiritualism, the Hermetic Order of the Golden Dawn and Theosophy. By exploring a range of artists with different historical contexts and means of expression this event hopes to inspire artists and researchers working with these themes today and to develop the framework upon which further research, both historical and contemporary, can be carried out. The lecture series will be followed by a relaxed evening of entertainment and music at Treadwell’s Bookshop a leading gathering point for Esotericism in London. Browse the books, meet new and old friends and share some food and drinks with us. Please note: this is a private event for the Warburg event attendees and speakers only. Treadwell’s Bookshop is located 5 minutes distance from the Warburg Institute. Colour has enormous potential for facilitating lateral thinking and free association. It is these qualities that make it such a powerful concept in esoteric thought, theory and practise. As a history of the idea of colours from antiquity to the present, the workshop will rely primarily on colour ‘systems’ articulated in Agrippa’s Three Books of Occult Philosophy and the work of the Hermetic Order of the Golden Dawn. As a hands on practium, the workshop will weave participants down a path towards an understanding of colour that will enable novel constructions and enhance one’s visual and/or esoteric practice. No previous experience is necessary. Tempera paint, student grade paper and brushes will be provided, but participants are welcome to bring their own materials, provided they are water based. Note: No solvent based paints or thinners can be used in this workshop. For participants bringing their own materials, a minimum colour spread of red, blue, yellow, green black and white will be necessary for the workshop. Jesse Bransford is a Brooklyn-based artist whose work has been exhibited internationally at venues including, The Carnegie Museum of Art, the UCLA Hammer Museum, PS 1 Contemporary Art Center and the CCA Wattis Museum, among others. Jesse is also Clinical Associate Professor of Art and Art Education and Director of Undergraduate Studies at NYU. 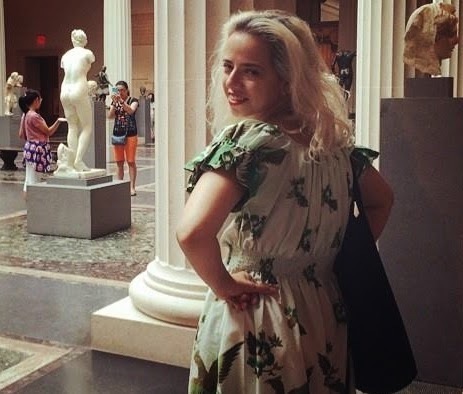 Liz Insogna is a New York based artist who after 10 years in the fine art world has more recently began working with the Goddess through the self-initiatory path of art. Today, Caroline Wise inter-views her about her first magical experiences, about art as a magical practice and about the changes in perspective which occur after one begins to look at the world through magical symbols. Liz is currently conducting her first cycle of Goddess invocations and documenting her experiences on the I:MAGE blog. Several of her paintings will be exhibited at I:MAGE. Caroline Wise has been involved with the Goddess movement for 30 years, and works in esoteric publishing. Anthropologists have always had a very ambivalent attitude towards magic. To some degree this is because they are heirs to the Enlightenment tradition which sees religion as a matter of humans foolishly bowing down before their own creations, confusing their own powers with exterior natural or supernatural forces. But magicians don’t really do that. So there’s always a creeping sense that in some way, they actually do get it right. What’s more, one has to ask: if what’s called ‘fetishism’ is, at root, our tendency to see our own actions and creations as having power over us, how can we treat it as an intellectual mistake? Our actions and creations do have power over us. Even for a painter, every stroke is a sort of commitment. It affects what she can do afterwards. In fact, this becomes all the more true, the less caught in the shackles of tradition one becomes. In tonight’s talk our speaker will explore the relationship between creativity, magic, nature and spirits, as well as how anthropologists could learn something from both artists and practitioners of magic, and perhaps vice versa. 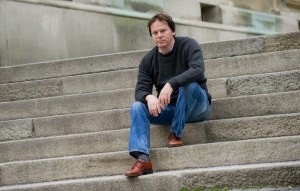 David Graeber is an American anthropologist, author, anarchist and activist who is currently Professor of Anthropology at the London School of Economics. David conducted fieldwork in Madagascar where he studied magic. David’s last publication, Debt, the last 5000 years has been translated in 14 languages and won the inaugural Bread and Roses Award for radical literature and the 2012 Bateson Award of the American Society for Cultural Anthropology. David is also a columnist for the Guardian. This is a free event but please register your attendance by emailing livia@fulgur.co.uk. Places are limited. Fulgur and University Arts Bournemouth invite you to the first official event by Black Mirror, a re-search network exploring the relationship between modernism contemporary art and the occult. Tonight we launch Territory the first volume produced by the network and published by Fulgur. We will celebrate with a performance by Mark Titchner entitled The Fool. Contributors to this volume include Massimo Introvigne, Gavin Parkinson and Ulli Seegers amongst others. Speeches from the network coordinators begin at 7:30pm. Performance begins at 8pm.